Below you will find some activities to do with your child at home or on the go. They come from a variety of sources, but many are from the Mixing in Math website, funded by the education group TERC (based in Cambridge, MA). The site features 10 Easy At-Home Activities (also in Spanish). Explore counting around the house! Choose a question for children to explore in an area in which they can wander freely. Easy. Up to 12 easy to count items: How many chairs are at the table? Medium. Up to 25 items: How plates do we have? If you are Counting Around with multiple people, write the question on a piece of paper and put it where everyone will be able to reach it. Leave out post-it notes and pencils. Count! Children record what they find on a post-it note and stick it below the question. Did everyone come up with the same answer? Why do you think answers could differ even if everyone counted correctly? Keep track of how many you can do in a row with practice­—skipping rope, snapping fingers, tossing a ball without dropping it, etc. Count and keep track of how many your child can do. Record the date and his or her count in a chart. Keep track of progress over time, with or without practice. Do you get better over time? How do you know? Variation: change the conditions. Children investigate influences on endurance. If you are skipping rope, does it matter whether you’re barefoot or wearing shoes? What if you shut your eyes? Literature Connection: a great companion book is Wilma Unlimited, written by Kathleen Krull and Illustrated by David Diaz. Which of us do you think is the tallest? Is the oldest the tallest? Make predictions about the heights in your family, among friends, etc. 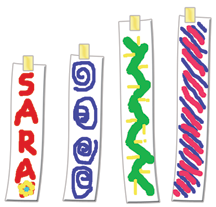 Create paper strips that show the height of each person, either from adding machine tape or from strips of paper taped together. Children may decorate the strips, and arrange them along the wall or floor from shortest to longest. Is the oldest person the tallest? Is the youngest the shortest? What else do you notice? Variations How much do we grow? After doing the activity, ask children to make a prediction: “If we do this in 3 months, will we be in the same order?” Half the size Is anyone half the size of one of the adults? How could we find out?" 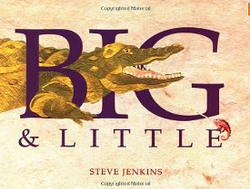 Connections: Visit the "Big and Little" exhibit at the Children's Museum, or read the book Big & Little by Steve Jenkins to check out some animal heigh comparisons. Print out the shape cards, and color in each shape (triangles in one color, squares in another, etc.) Cut out the words, and create "pattern poems." Make a first line of 2, 3, 4 or 5 words. Create the shape pattern at least twice to make a poem. Some questions to ask: what's the pattern in the poem? Can you describe the pattern in another way? Plan a picnic! Whether you are picnicking on a vacation, in a local park, on a Boston Harbor Island, or in your own back yard, your entering first grader makes for a great helper. *How much food will we need to bring for all of our picnickers? *How many total food items will you bring? *Are there more fruits? More grains? How many more? >Free passes available in your local library! Admissions information available online. LImited free passes available at your local public library! For a list of other Boston area Museums, and also some idea for some free or inexpensive things to do, check out BostonCentral.com .